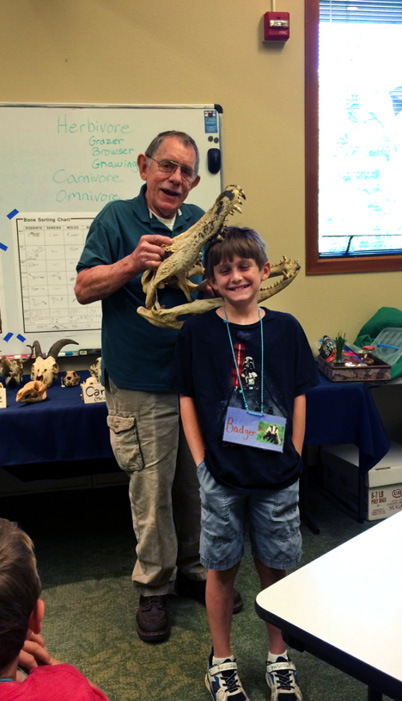 The UO Museum of Natural and Cultural History (MNCH) is home to Oregon wonders. On display you will find a giant sloth, saber-toothed salmon, and even the world’s oldest shoes. Little kids run to the “excavation site”—a corner that has been reimagined as a rocky beach where they can dig up their own fossils. Other guests come to learn about the different cultures and natural marvels across the state. But MNCH holds a special place in my heart not only because of the exhibits but also the people who make the museum whole—one of whom taught me to think about things in an entirely new way. I have come to know a variety of guests throughout my three years of working in visitor services. One couple comes in every Thursday and asks excitedly, “What’s new?” If there are no new exhibits, they are just as delighted to revisit the old exhibits that they love so dearly. The volunteers at the museum are also some of the most intriguing people I have ever met. Many of them are retired, but their love of culture, anthropology, archaeology, and teaching propels them to share their knowledge with guests, and with me. Some volunteers have encouraged me to pursue my passion for art, while others have helped me come up with story ideas for my journalism courses. One of the volunteers who had a significant impact on me in my time at MNCH was Herm Fitz, who I met my freshman year when he was training to become a volunteer exhibit hall interpreter. Every Thursday while I was working in admissions, he would come up to me after training and ask me how my day was going. He was soft-spoken and always smiling ear to ear. Herm always shared with me a new animal tooth he had from his personal collection. He had a vast variety of animal skulls and teeth (including raccoon, beaver, and horse), and his daily 2:00 p.m. talk was fittingly called “The Tooth Sleuth.” Herm dressed up like Sherlock Holmes and talked to guests about the variety of animal teeth he had on display. If a shift at the museum was going by a bit slow, he would come up to the front desk and give me an educational lesson on canine teeth versus incisors. Herm knew I loved to draw and color and showed me a coloring book about evolution that he bought secondhand for a couple bucks, encouraging me to get one, too. He would ask how school was going and motivate me to keep following my dreams and do what I love. He loved to educate everyone he met, and whenever I worked with him, he taught me something I would never have learned otherwise. MNCH is a smaller museum separate from the hub of campus, but the knowledge and love the people have in this museum have made it central to my college experience. Every person I have met has added something to my education that I never imagined I would get, and I’m so thankful I walked under the copper salmon and through those double doors on that winter day of freshman year. This essay is dedicated to volunteer Herm Fitz, who died in October 2017. Thank you for teaching me that I should never stop being excited about learning something outside of the box. 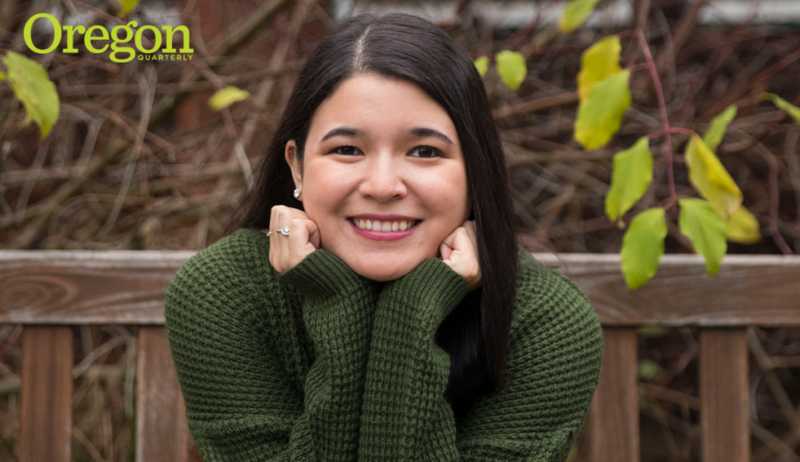 Journalism major Cassidy Haffner, class of 2018, is the student intern for Oregon Quarterly.